Many organisations face challenges in managing security and controls for their SAP applications. We at GRC Nordic are specialists in solving those issues with our decade of experience, use of best practices and the latest technology. Our unique services have been developed to meet the various demands of SAP organisations. Understand the root causes of your SAP security problems and build a new sustainable model with Role renewal service. Automate emergency access and log analytics to improve compliance and security. Improve your SAP licence compliance and reduce the uncertainty with licence usage analytics. Strengthen your SAP security with a scalable service and solve your problem of finding a specialist. Comprehensive service for all main areas of SAP access management as one package (AMS). Specialist services for large SAP organisations to complement their SAP skills and implement new SAP technologies. 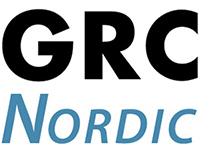 GRC Nordic is the largest SAP access management service provider in the Nordics. Over the years we have worked in close long-term partnership with our customers, which has given us an excellent understanding of the typical every-day problems our customers meet with SAP access management and controls.